Tanto Latte Ltd. is a family-owned Italian cheese factory and market located in Salmon Arm, BC. 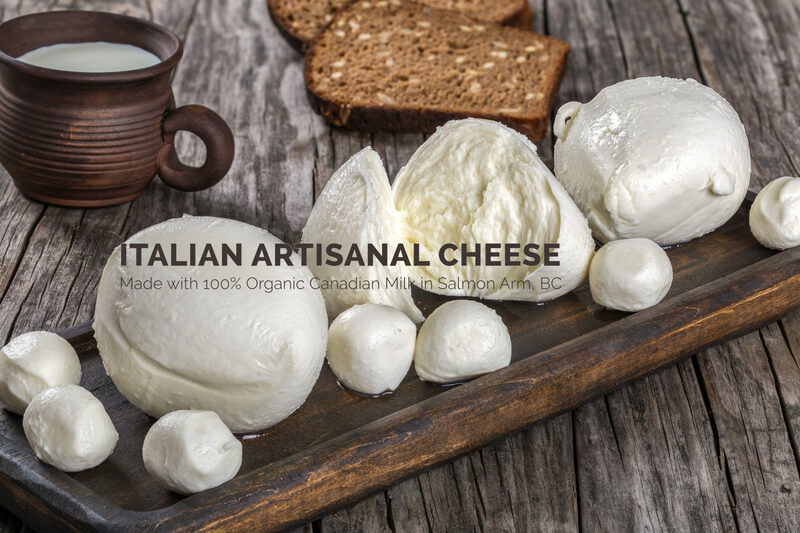 We are committed to the production of the finest artisanal Italian cheese using 100% Canadian whole milk from the Okanagan Valley without the addition of any type of powdered or protein milk. Our cheeses are produced following the original Italian recipes and ancient Italian cheesemaking traditions. This allows Tanto Latte to bring the highest quality, authentic, natural, organic Italian cheese to the Canadian market, and to your table. The company founder, Luigi Ornaghi, is an Italian cheesemaker with over 5 years of experience in artisanal dairy production. He is also an international executive chef with over 20 years of experience in the food industry. Tanto Latte’s main product is the world renowned fresh bocconcini mozzarella – the perfect topping for pizza, or as a delicious fresh ingredient for sandwiches, salads and many other meals. In addition to our mozzarella, Tanto Latte produces a variety of other fresh cheeses such as: Stracchino (originating from the Lombarida region of Italy); Burrata (from the Puglia region of Italy); and Ricotta (an Italy-wide favorite). Tanto Latte also produces aged cheeses including Provolone and Caciotta. TRADITIONAL ITALIAN RECIPE Following our authentic Italian recipes, Tanto Latte cheeses will transform any simple meal into an elevated, tasty dining experience. Crafted with quality and tradition, we promise to share with you the genuine tastes of Italy. MADE IN CANADA What distinguishes Tanto Latte from other Italian cheese companies is that our cheeses are produced right here in Canada, using 100% Canadian whole milk (we also feature a line of organic cheeses). Our factory is located in the thriving town of Salmon Arm, in the heart of the beautiful Shuswap. HEALTHY LIVING Tanto Latte cheeses contain probiotics – a vital component of a healthy diet. The live cultures that are added to our cheeses enhance the naturally occurring beneficial bacteria that promotes a healthy gastrointestinal tract. All of our cheese products are also 100% organic. HAVE ANY QUESTIONS ABOUT OUR CHEESE?